Normal Ticket Price : Rs 6,000, Special Rate for 2 Tickets & More.. ENDS SHORTLY! ONLY for Ventures less than 3 Yrs old. Valid Reg Certificate MUST! Something really exciting happening in the Auto Industry. Watch Video & find out ! 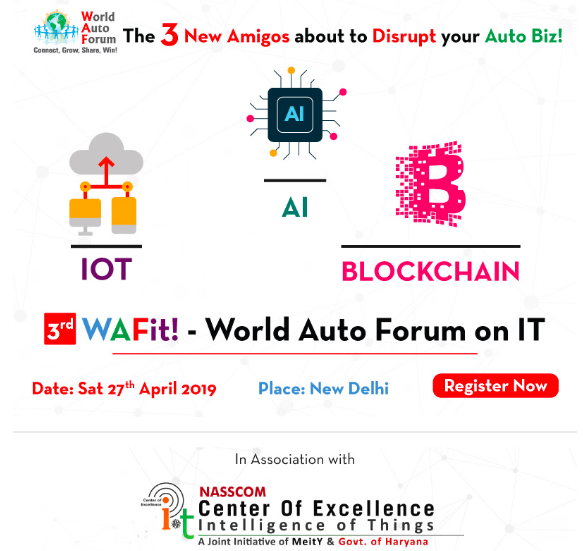 World Auto Forum presents 3rd WAFit! Auto CIO's, CXO's and IT Heads in a hall for a day. Final Agenda shall be published on 26 April 2019 Night on Official Website. 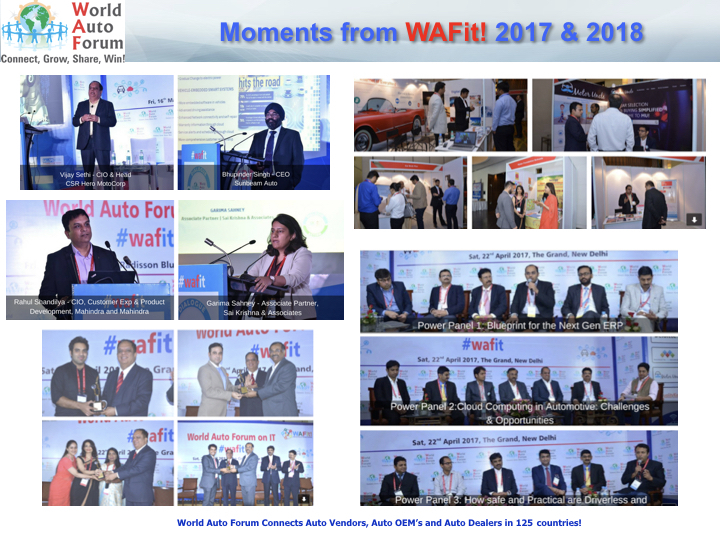 The Speakers can change due to their Personal Exigency which is beyond control and influence of World Auto Forum.